The TV Times magazine is 60 years old this month and is celebrating the occasion with an exhibition of some classic images from its archives. We recently took a look at the rediscovered photographic archive of listings guide TV Times that had been found at the British Film Institute after approximately 50 years. The collection contained an incredible array of images featuring some of the biggest stars of music, film and television, such as Kate Bush, The Beatles, Cilla Black and Liza Minnelli. The collection is a goldmine for those interested in TV entertainers. Now TV Times is curating two exhibitions. 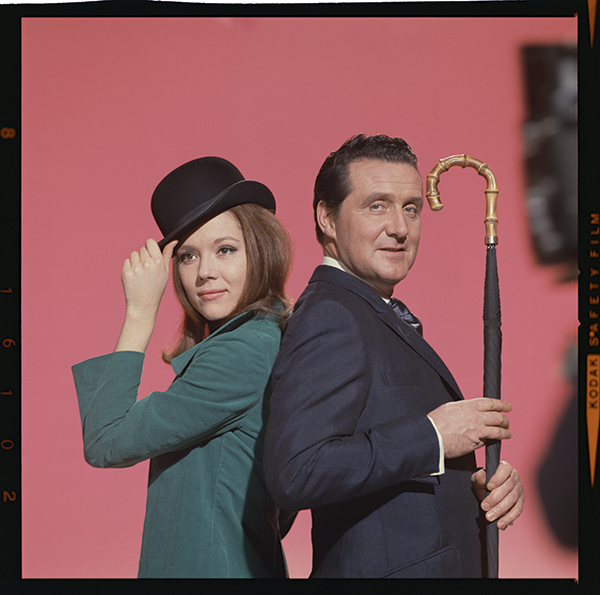 The first showcases 60 images from 60 years of TV Times, and will take place at the Blue Fin Building, Southwark Street, London SE1 0SU from 17 September-18 October. The second exhibition will display rare images of some of the biggest music stars from the 1960s, ’70s and ’80s. You can see this show at Platform Southwark, London SE1 until 18 October. Here, we take a look at a small selection from the two exhibitions. 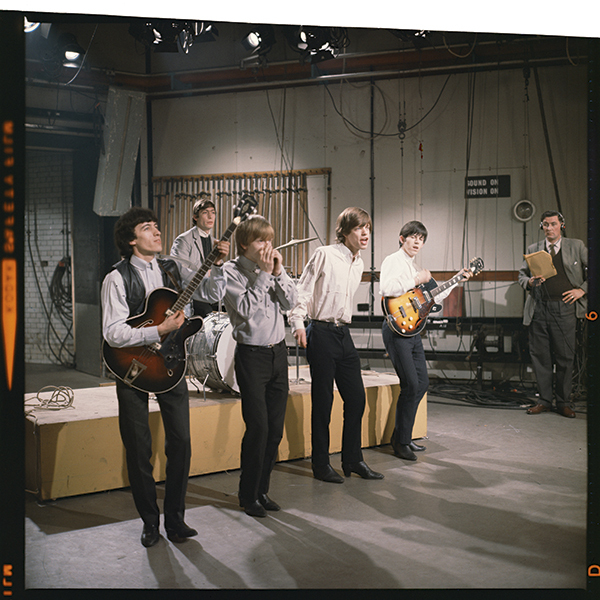 On 13 January 1965 (although it wasn’t televised until 30 January), The Rolling Stones appeared on the hit TV show Thank Your Lucky Stars, ITV’s answer to the BBC’s Jukebox Jury, where they performed several songs and were interviewed by presenter Brian Matthew. 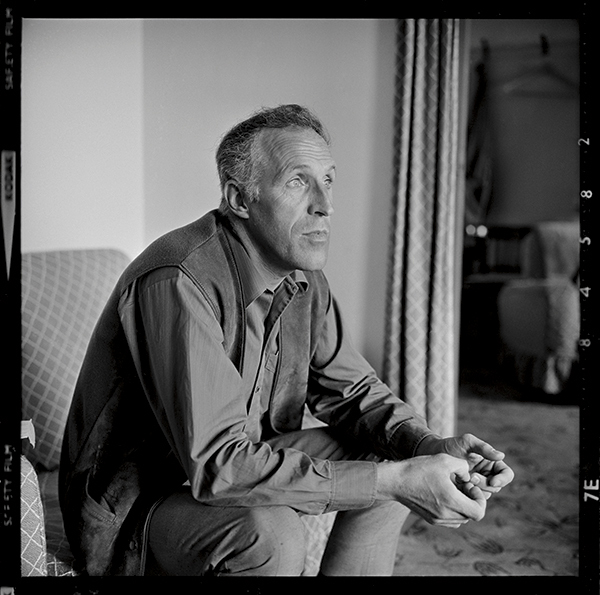 This portrait of the British entertainer and presenter was taken during a time when he was fronting the popular ITV variety programme The Bruce Forsyth Show. In the past, Bruce has singled this out as his favourite portrait of himself. 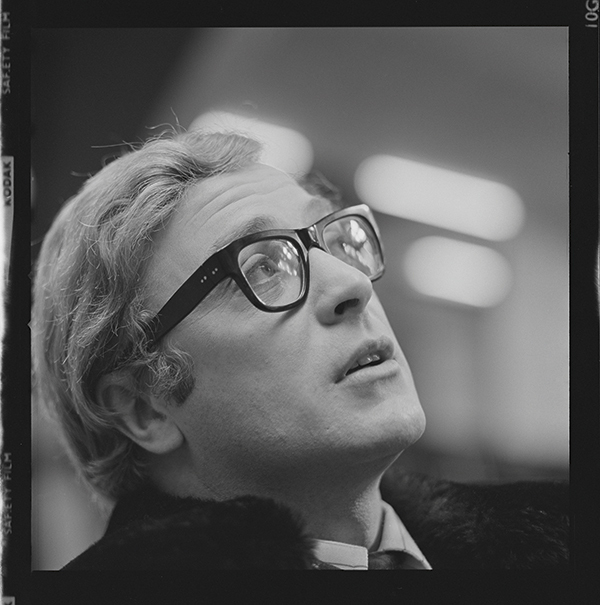 Here we see British actor Michael Caine (below) on the film set of the espionage thriller Billion Dollar Brain, filmed in Pinewood, Buckinghamshire. The film was directed by the late Ken Russell, and while it was disliked at the time of its release, it has gone on to be recognised as a firm favourite within the spy and espionage genre. 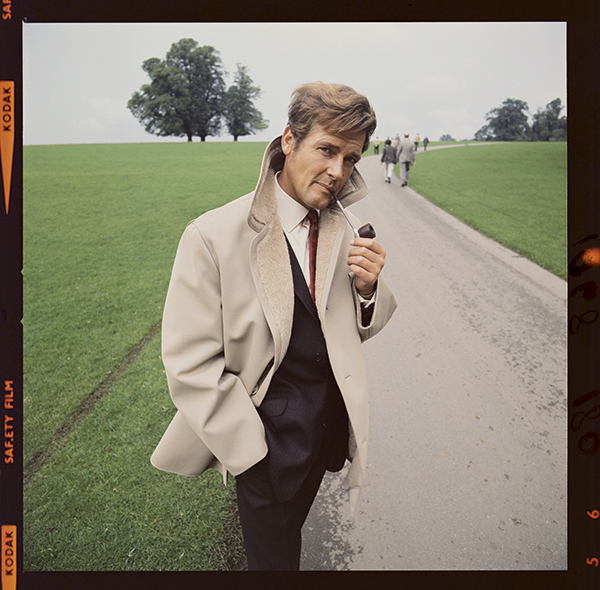 In 1968, Roger Moore was gracing television screens in his role as Simon Templar, the central character in the mystery spy thriller series The Saint. This picture was taken on location during a break between filming scenes. 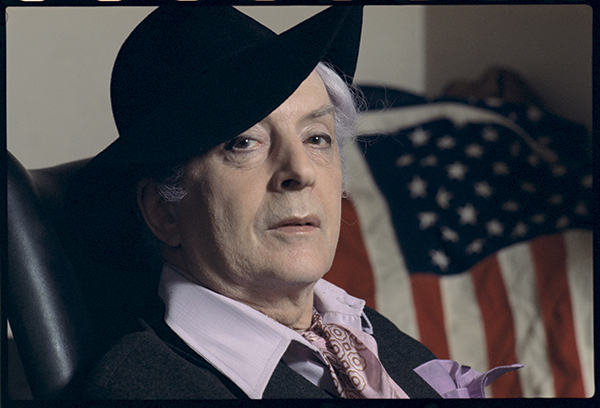 English writer and raconteur Quentin Crisp (above) reclines in a chair, flanked on one side by the flag of the USA, his adoptive country, in his New York apartment. This year also saw the US publication of his most well-known work, The Naked Civil Servant, although the book had already been published in the UK in 1968. 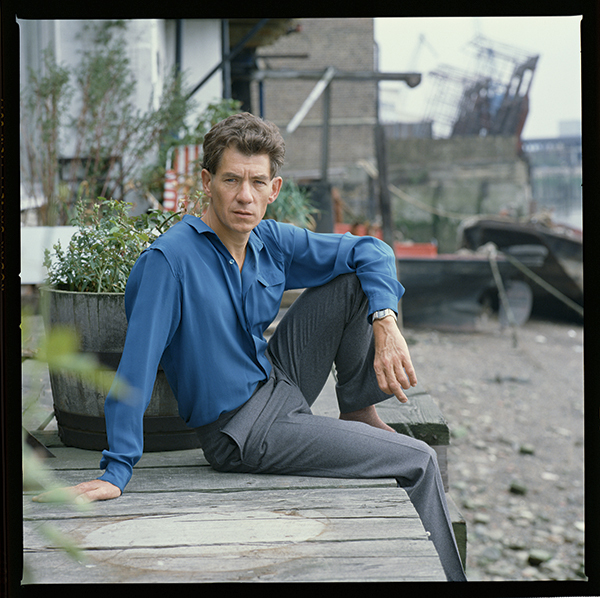 The year 1981 proved to be significant for actor Ian McKellen. The year marked his 20th anniversary as a professional actor and he picked up a Tony Award for his role in Peter Shaffer’s play Amadeus. The production would also go on to pick up the Tony Award for best play. 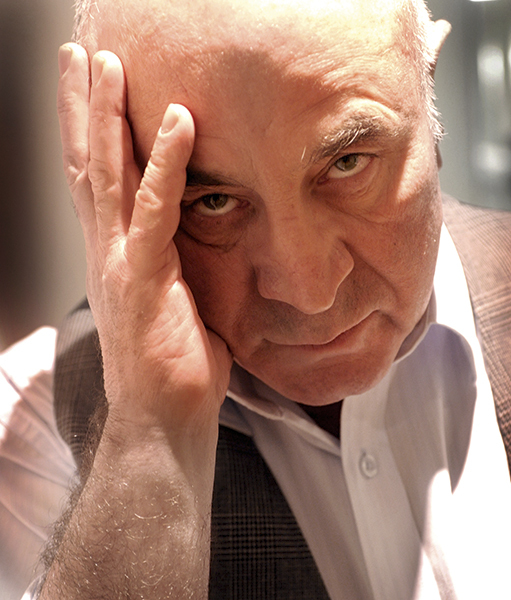 In 2009, Bob Hoskins won his one and only Emmy Award for his role in Jimmy McGovern’s drama serial The Street. Hoskins retired from acting soon after this image was taken. In 2011, he announced he was leaving the profession after he was diagnosed with Parkinson’s disease. He died in 2014. TV Times 60th Anniversary is open until 18 October. The indoor part of the exhibition is open Monday-Friday 10am-7pm, but many images will be shown on outdoor plinths, which can be visited any time. The Merge Festival Exhibition (music images from TV Times) is open at Platform Southwark, 1 Joan Street, London SE1 from 18 September-18 October. Opening times are Wednesday-Sunday 12pm-7pm. Visit www.mergefestival.co.uk.